Jingle Bell Rings. Jingle all the way! 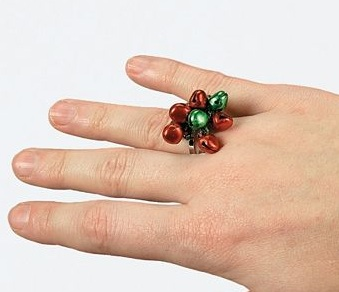 Each 3/4" adjustable metal ring has red and green bells on top that jingle! A festive favorite with girls of all ages, this jolly jewelry makes a great party favor at a Christmas celebration or other holiday gathering. Price is per ring.